Duchenne muscular dystrophy (DMD) is a progressive and fatal muscle-wasting disease that almost exclusively affects boys. It is caused by a lack of dystrophin, a protein that is needed to hold muscles together. Without dystrophin, all skeletal muscles begin to deteriorate, leading to paralysis, heart and lung failure, and early death – on average in the sufferer’s mid-twenties. Duchenne is 100% fatal. There is currently no cure. Lack of dystrophin is the result of an error in the dystrophin gene, which is found on the X chromosome. As boys only have a single X chromosome, this error causes them to have Duchenne muscular dystrophy. Girls can be carriers of the genetic error, and in 1% of cases they can be sufferers. The genetic error can be inherited from a female carrier. However, in a third of cases it is caused by a completely spontaneous genetic mutation – and therefore can happen to anyone. Expand the photos to learn more. Symptoms of Duchenne muscular dystrophy typically appear in the first few years of life. 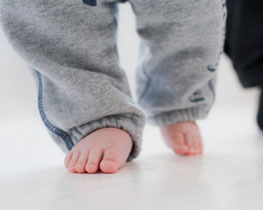 Infants may struggle to sit or stand up independently, and may start to walk at a later age. Children with Duchenne often have trouble keeping up with their peers. They have progressive muscle weakness of the legs and pelvic muscles. Their calves begin to enlarge, causing them to waddle when walking and making it difficult to climb stairs. Diagnosis is usually made by looking at raised creatine kinase enzymes in the blood. A muscle biopsy can also be done to look for abnormal levels of dystrophin, to confirm a diagnosis. As the disease progresses, it causes severe muscle deterioration, reduced bone density and reduced cardiac and lung function. Muscle weakness and skeletal deformities often contribute to breathing disorders and scoliosis – and consequently, spinal surgery is common. Cardiomyopathy (an enlarged heart) occurs in almost all cases, from age 13 onwards, or sometimes earlier. As the muscles begin to waste, children struggle with stairs and erratically collapse. 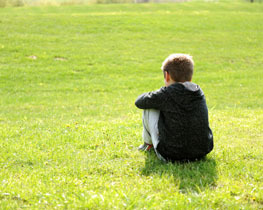 They are unable to keep up with their peers and can have associated learning difficulties. Steroids are usually given to improve strength and prolong the ability to walk. However, long-term steroid use has a range of debilitating side effects. 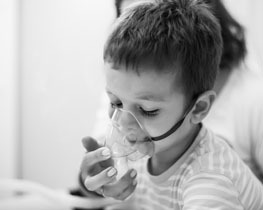 By the time individuals with Duchenne approach their twenties, they often become dependent on a ventilator or respirator. 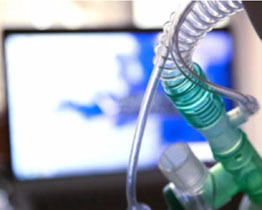 They may later need a tracheotomy – a surgical procedure where an artificial opening is made in the throat and a tube is inserted to help air flow to the lungs. 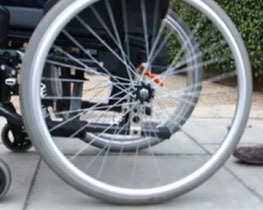 As Duchenne sufferers approach their teens they are no longer able to walk, and become wheelchair bound. Steroids delay the onset of puberty and cause individuals to have a shorter stature. They can also cause cataracts, as well as Cushing syndrome – a complex hormonal condition whose symptoms can include facial puffiness, weight gain, high blood pressure, osteoporosis and diabetes. Long-term steroid use makes individuals more vulnerable to fractures and infection as it reduces bone density and immunity. Very few individuals with Duchenne live beyond the age of 30. The most common causes of death are breathing complications and heart failure, as the muscles of these essential organs deteriorate without repair. What are we doing to tackle Duchenne?